Rob reads the one-sheet that Spotify sent to their partners - and we’re one of the partners! 2:39 What does this mean to you as a Libsyn user? You have a Spotify destination that’s how. A little back story on the relationship. 3:38 How will this work with Spotify? 4:20 This is only the initial launch, available to about 1% of Spotify customers in only a few countries - this will change. 4:38 This is about a growth opportunity, this is not a monetization opportunity. 4:55 If you are someone that says: “hey! I want my content to be out there on a platform that has 70 million users” then this is for you. 7:54 Spotify has a podcasting team! 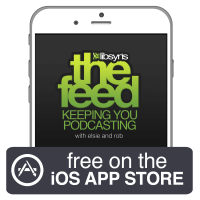 8:30 How will you add your podcast to be available in Spotify once all the stats are worked out? Rob does a quick verbal walkthrough. Rob and Elsie IRL (In Real Life) Where are we going? 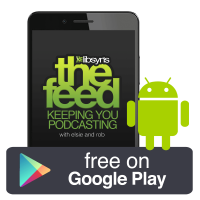 The show that takes it beyond how to podcast into keeping you podcasting with podcasting tips and information for the everyday podcaster + taking you inside Libsyn the largest podcast host and distribution network since 2004!